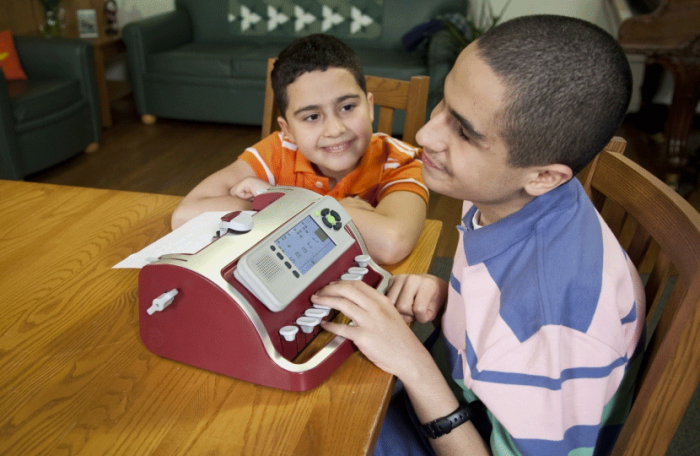 The SMART Brailler is an early learning tool designed to promote an interactive educational experience between students, teachers and parents by displaying, vocalizing, and brailling what a student types. Accelerates Learning: Encourages multi-sensory learning through visual, tactile and auditory feedback, increasing the student’s ability to process new information and making learning fun. Lightens the Load: Weighs 20 percent less than the classic Perkins Brailler, making it easy to transport between home and classroom. 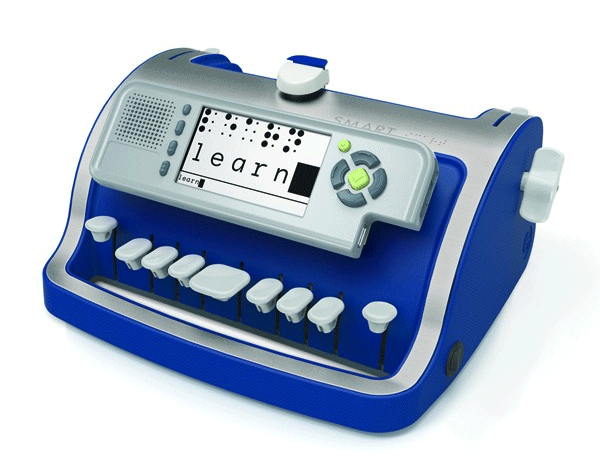 Integrates with Mainstream Technology: Edits, saves and transfers brailled documents to digital text files via USB, letting sighted teachers or parents read the document on a computer. 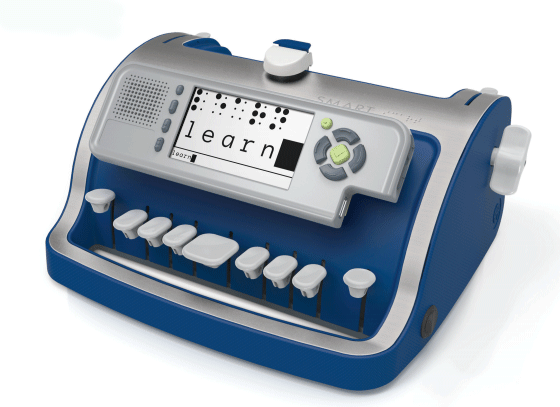 Involves Non-Braille Users: Enables better collaboration between students and sighted teachers or parents using Roman letters on the display screen to mirror what is being brailled. Reliable Support: One year warranty and repair service training availability, ensuring that any problem with your product is resolved quickly. 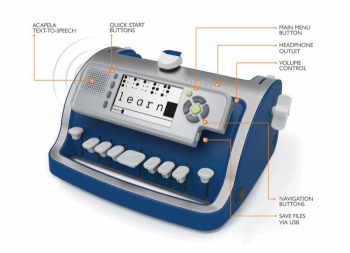 See how the Florida School for the Deaf Blind has transformed the way they teach and students learn using the SMART Brailler! 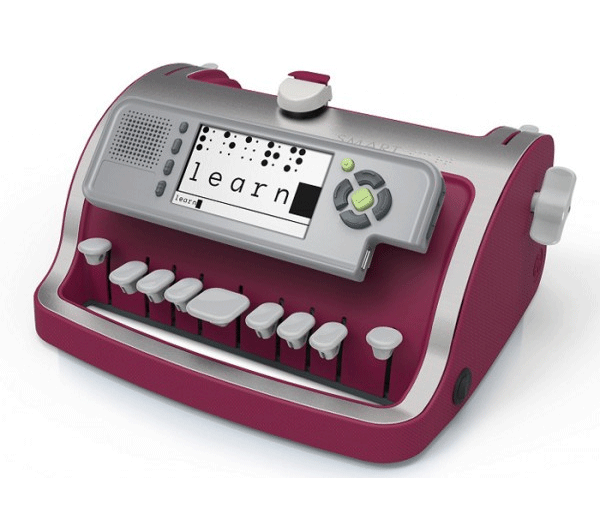 "MAKE BRAILLE COOL AND FUN"
"The children I work with enjoy using the SMART Brailler. 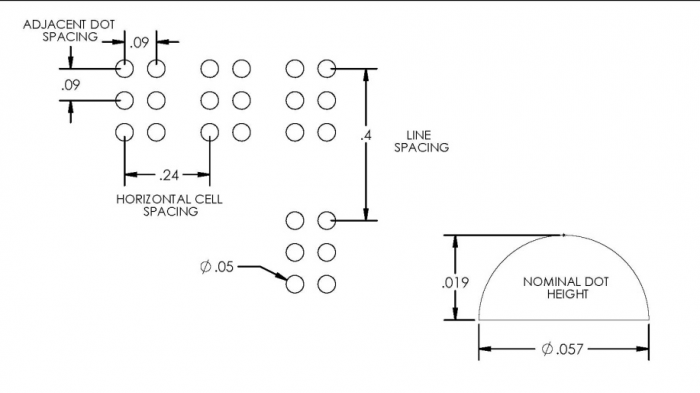 They especially like the Building on Patterns program."